Mark Dehertogh is the newest addition to the band department this year, serving as the new associate director and jazz program conductor. “I have enjoyed working here over the summer, preparing for the band season,” Dehertogh said. Despite it being his first year teaching here, he has had plenty of previous experience. He began his education at University of North Texas, receiving a masters in jazz studies. Then, he began his teaching career at Paschal High School in Fort Worth. While at his previous school, he taught private lessons to students from Plano Senior and Rice Middle School, which piqued his interest in teaching at Plano. “Aside from teaching, I am a professional saxophone player. I have been playing the saxophone since I was in seventh grade,” Dehertogh said. Just as his students do in class, Dehertogh continues to pursue his passion. He even teaches his students how to play the saxophone in his free time at no extra charge. One of his students, junior Kathleen Dobrott, appreciates the hard work and dedication he puts in for band. “Mr. D helps out a lot. He is so amazing, and he has such a positive influence on me. He is also a saxophone genius,” Dobrott said. Dehertogh said he appreciates the amount of dedication and hard work put into the fine arts program. 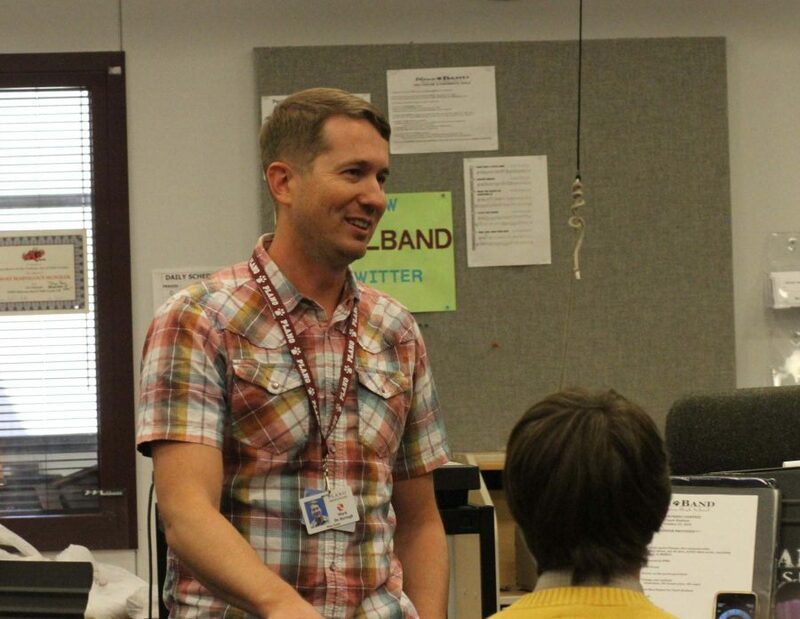 “I love the fine arts programs here at Plano because there is so much support and great communication between the staff. The students here have such a high level of maturity and professionalism,” Dehertogh said. One of his favorite experiences with band here has been witnessing the amount of energy and pride there is at the football games. “I have noticed the great amount of fans there are cheering on the Plano Band at football games, whether it is the visitor side or a home game,” Dehertogh said. Parker Chambers, a senior jazz member, is already liking having Dehertogh as his instructor this year. “I have learned so much from Mr. Dehertogh even in a short amount of time. I appreciate his teaching because he is knowledgeable, funny and inspirational,” Chambers said.